Ang mahal ng RAM ngayon! Nag mahal pa lalo this past week. 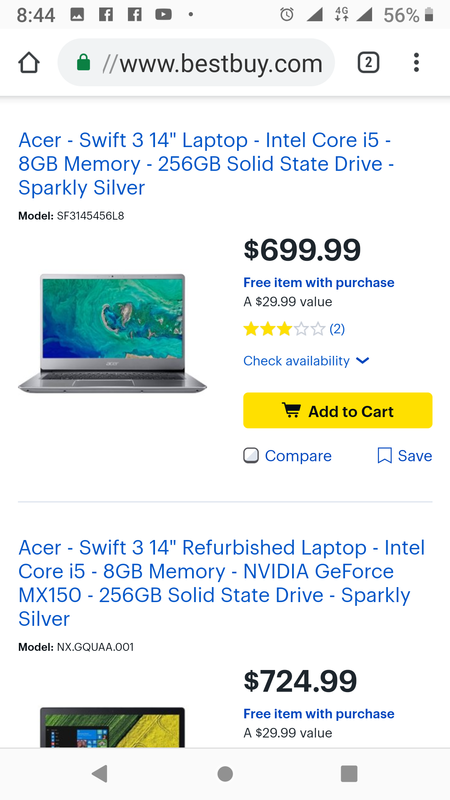 These prices really threw a spanner on my Coffee Lake upgrade plans. Black friday na lang ang tanging pag asa ko. The recent prices of RAM today are horrendous. I bought my 64GB kit at amazon last year for ~549 USD... now it is 1100 USD... I could have not bought it if it had the price today. damn. Urgently need your help guys. Narrowed down my selection to these 2. My requirement kase is an ips display na full hd and this fits the bill. Also, ssd upgradeability when the hdd is filled with... Taggy goodies. ^ No i3-8100U option? Most retailers don't bother adjusting prices of old stuff downward, so a Coffee Lake i3 should only be slightly more expensive than Kaby Lake while being the equivalent of the previous-gen i5. The N5000 is pretty good for a Pentium, a quick CPU-Z bench puts it about even with the i3-7100U. But if you're gonna do the occasional game HD620 is faster than HD605. I have ASUS i3-7100U and N5000 laptops side by side right now and they're pretty much indistinguishable doing regular office/browsing stuff, but open a game and the i3 is noticeably better. That's a pretty big upgrade from your previous options for just 6k more. Seems like they have a small store too. I'd be tempted to go for it. Update in my mini lappy quest: hmmm interesting. 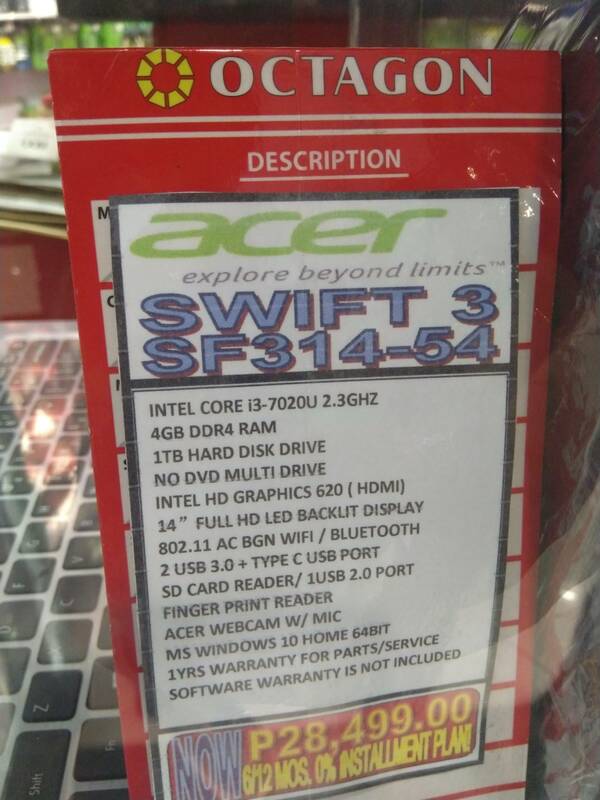 I shopped around at glorietta, rob manila, sm north and NOBODY has that acer swift in the same "trim spec." I even had one guy contact their main office, special order it. Nada. but i know it exists because it's available overseas. So that suggests, that it is a direct import/gray market. 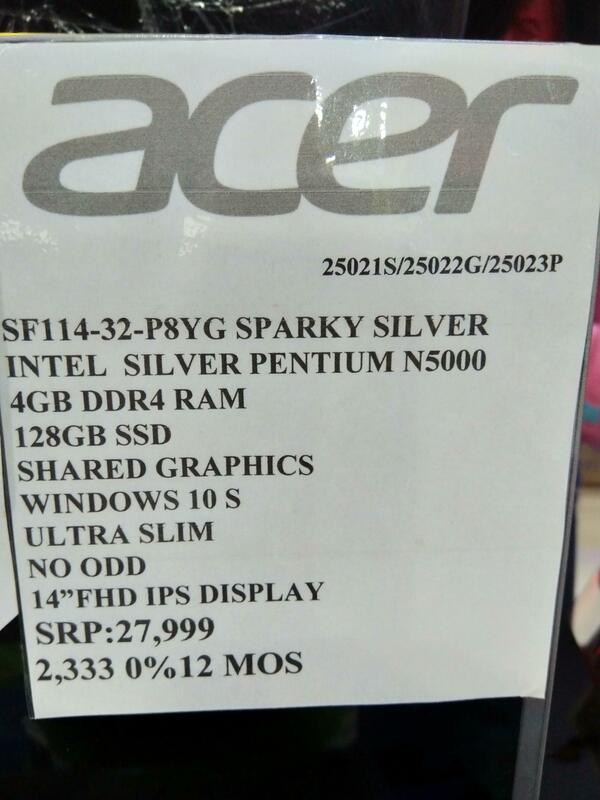 The specs are too good to resist. What would you do biomenyeks? And what are the things to check upon meetup? And I just might add: man oh man, gaming laptops sure look fugly as f.
Still in need of a case. 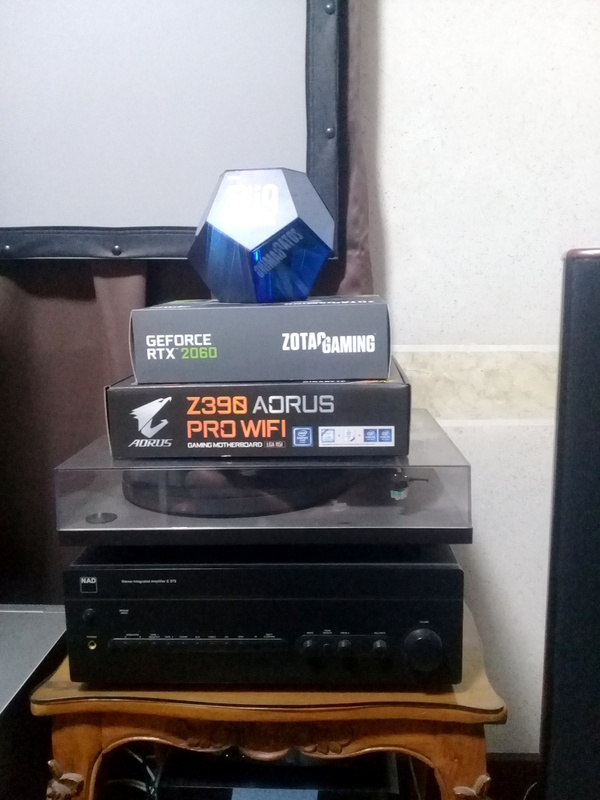 It'll be either an NZXT or CoolerMaster mid tower. Probably going to keep the trusty old X79 Xeon in the the trusty old Lian Li V1000 rather than buy another case that'll take XL-ATX. Almost done with my upgrade. Got a problem with the Commander Pro, might have to RMA it and put back my old NZXT USB Expander + Swifitech PWM Fan hub in the meantime. Reinstalled Windows 10 coz my old OS on a Crucial MX100 500Gb keeps freezing. A call to MS Support was necessary to transfer the license. It was a !$@#!#$! to install. the VGA cables were from the factory upside down. All the cable combs had to be removed and reinserted. Moth@#!@#. Then it wouldn't light up from the motherboard header....had to install Lian Li's own controller card. Arrgh..
Just got my 9900k built as well. A bit opposite of what you did but I'm trying to minimize the rainbow vomit lol. OS installed, but I have a ton of stuff I still need to migrate from the old X79 rig. Tempted to keep the old rig actually and just install Xpenology on it. The E5-2690 is a lot cooler under load than the 9900k. It's prime stable, but hot hot hot running small FFTs. What cooler are you using? Havent tried OC yet, idle its a cool 36 in my warm room. 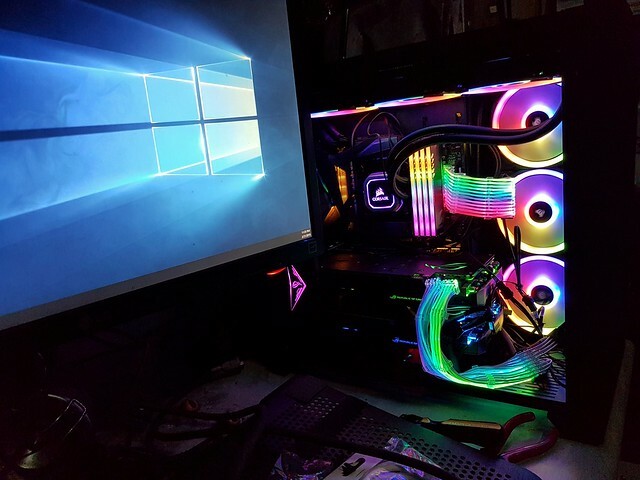 Cooler is Thermaltake Water 3.0 Riing 240 RGB. At 26C ambient, it idles at 31C, gaming load around 50-60C, Cinebench 70C. But under Prime95's small FFT load temp goes right up to 100C. There's a 5C delta between my coolest (core 1,7) and hottest cores (core 2,3,4) so the hot cores are at 100C, the cool cores at 95C, and the rest somewhere in between.